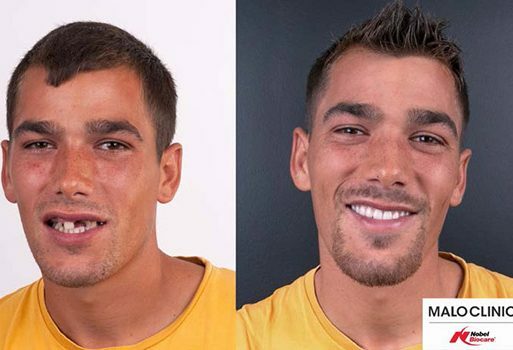 A 23-year-old patient with a severely degraded dentition came to the MALO CLINIC in Portugal, under its pro bono program. He had no oral hygiene habits and poor oral health. He had severe deterioration in the upper jaw, and in the lower jaw both quadrants’ molar teeth required extraction. His remaining teeth showed no sign of periodontal loss and/or mobility. The initial clinical situation shows severe oral impairment. The upper jaw displays a worse prognosis. 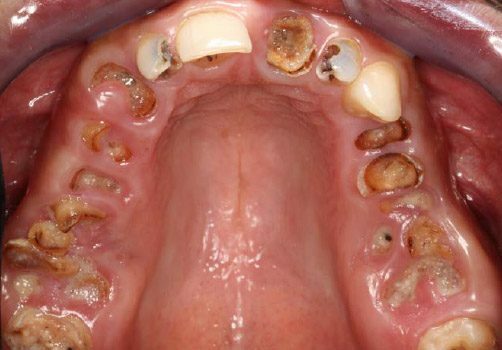 Even though there is sufficient bone height and width, the large granulomas associated with several upper teeth will leave extended bone defects. In the lower jaw there’s good preservation of dentition from the second right premolar to the contra-lateral. Full-arch rehabilitation of young patients is always demanding, not so much anatomically (e.g. reduced bone availability) but rather functionally and esthetically. Given the irreversible damage to most of his teeth and large apical lesions, we decided to perform full extractions, clean all granuloma lesions and treat the patient with implant surgery and Immediate Function. 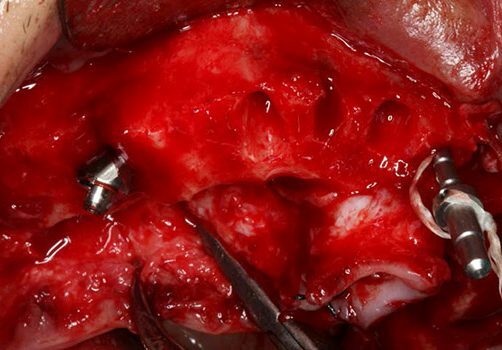 We selected the All-on-4® treatment concept for this case since it is proven to be a predictable surgical option in the long-term1 and in demanding clinical situations.2 Use of the NobelParallel Conical Connection (CC) implants and the new Multi-unit Abutment Plus allowed us to deliver immediate, fixed rehabilitation even in the post-extraction sites – thus restoring the complete function of the upper jaw in one surgery. Surgery was performed under local anesthesia. The procedure started with the extraction of the remaining teeth. A full-thickness flap was opened and elevated following a crestal incision and two releasing incisions in the first molar area. 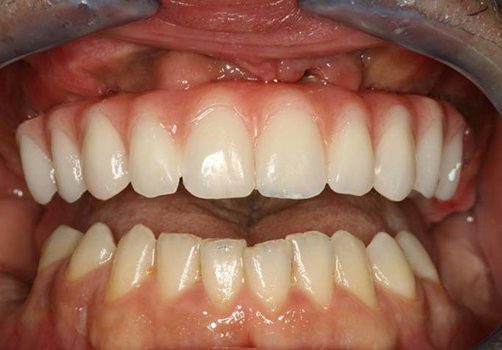 Through a photo showing the maximum smile line bone was reduced in order to hide the prosthetic transition, allowing for a more regular bone platform and a smooth gingival profile, making it easier for the patient to maintain after the surgery. 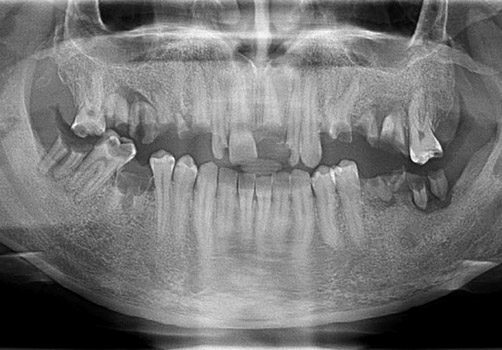 Occlusal view – severely degraded upper jaw. Most teeth irreversibly decayed. Implant surgery started with a mid-line osteotomy perpendicular to the bipupillary line, enabling the placement of the All-on-4® Guide. Once the guide was in position and adapted to the maxilla’s size, the anterior wall of the sinus was identified in order to start placing the posterior implants as close to the cortical bone as possible, with an angulation of 45°. An under-preparation drilling protocol was used with the intention to achieve sufficient primary stability to allow for Immediate Function. With the posterior implants stabilized and in position, the new Multi-unit Aligning Instrument was used to choose the most appropriate abutment angulation and prosthetic setting. Multi-unit Aligning Instrument in position, allowing the choice of the most suitable abutment and its best prosthetic setting, reducing the need for future changes. 30° Multi-unit Abutment Plus in position and screwed at 15Ncm. These new abutments allow easier try-ins of the provisional restoration thanks to their snap-on function. Titanium healing caps in position over the abutments to prevent soft tissue collapse. The 5 mm high healing caps were chosen because of the patient’s high soft tissue volume. Suture and splinted impressions were then executed and the pre-made, all-acrylic bridge was then relined in the mouth and finalized in the lab. The patient returned to the clinic 10 days after the operation to remove the sutures and control the healing. Intraoral overview 10 days post-op. 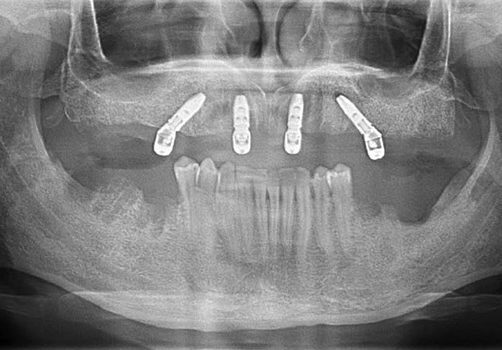 Final X-ray showing an optimal implant distribution. Despite the advanced deterioration of the upper jaw, the final result was very satisfactory for both the patient and myself. The patient was able to immediately recover function and esthetics – which can be life-changing given the patient’s age – without having to go through additional, time-consuming and costly surgeries, instead benefiting immediately from this long-term predictable solution. Accurately extract the teeth and clean all the infections and granuloma tissue in order to make sure that your implants are placed in the best bone available. Use an underpreparation drilling sequence according to the bone density in order to achieve good primary stability. Use an implant that allows for bone condensation. Try to get bicortical anchorage in low-quality bone for better primary stability. Avoid delivering long cantilevers in the provisional all-acrylic prosthesis. Francetti L, Agliardi E, Testori T, et al. 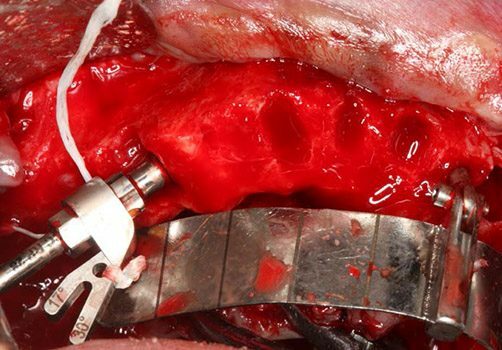 Immediate rehabilitation of the mandible with fixed full prosthesis supported by axial and tilted implants: interim results of a single cohort prospective study. Clin Implant Dent Relat Res 2008;10(4):255-263. [/note] This evidence-based treatment concept allows clinicians to effectively treat different types of patients and provide fast and predictable outcomes.5 The high implant and prosthetic survival rates of the All-on-4® treatment concept make it a predictable procedure for clinicians.6 I highly recommend that clinicians adopt this treatment concept in their daily practice, and avoid other demanding and time-consuming approaches. The All-on-4® treatment concept is a team approach and I would like to thank all my MALO CLINIC colleagues involved in treating this patient: Ana Abadia (Oral Hygiene Department), Dr. João Botto (Oral Surgery Department), Dr. Raquel Lucas (Prosthodontic Department), Dr. Rodrigo Gonzalez (Prosthodontic Department) and Helena Alexandre (MALO CLINIC Ceramics Laboratory). The manufacturer matters: the likelihood of predictable, long-term results is increased with the use of high-quality, original products from Nobel Biocare.7 All the products used in the present case were designed to work together as part of the All-on-4® treatment concept. In particular, by using the Multi-unit Aligning Instrument it was easier to identify the correct angulation for the abutment and adjust the implant position for the final Multi-unit Abutment placement. This reduces the need to make changes and substantially decreases chair time and discomfort for the patient. Together with appropriate training, these new products can help surgeons make the most out of the All-on-4® treatment concept. Dr. Ana Ferro, DDS, Oral Surgeon, joined the MALO CLINIC team in 2005. Practicing in periodontology, oral surgery and dental implant rehabilitation, Ana Ferro has an extensive knowledge of full-arch rehabilitations using the All-on-4® treatment concept and is the director of the Oral Surgery department at MALO CLINIC Lisbon. Malo P, de Araujo Nobre M, Lopes A, et al. A longitudinal study of the survival of All-on-4 implants in the mandible with up to 10 years of follow-up. J Am Dent Assoc 2011;142(3):310-320. Maló P, de Araújo Nobre M, Lopes A, et al. “All-on-4” immediate-function concept for completely edentulous maxillae: a clinical report on the medium (3 years) and long-term (5 years) outcomes. Clin Implant Dent Relat Res 2012;14(Suppl 1):e139-150. Malo P, Nobre Mde A, Lopes A. 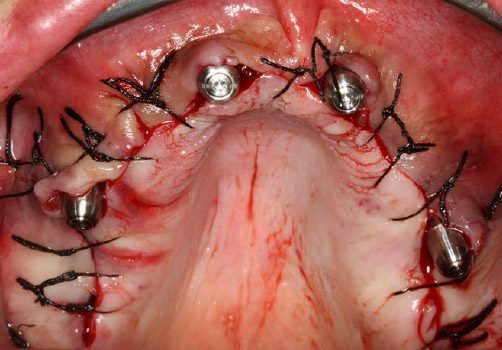 Immediate rehabilitation of completely edentulous arches with a four-implant prosthesis concept in difficult conditions: an open cohort study with a mean follow-up of 2 years. Int J Oral Maxillofac Implants 2012;27(5):1177-1190. Babbush CA, Kanawati A, Kotsakis GA, Hinrichs JE. Patient-related and financial outcomes analysis of conventional full-arch rehabilitation versus the All-on-4 concept: a cohort study. Implant Dent 2014;23(2):218-224. Babbush CA. Post-treatment quantification of patient experiences with full-arch implant treatment using a modification of the OHIP-14 questionnaire. J Oral Implantol 2012;38(3):251-260. Mozzati M, Arata V, Gallesio G, et al. 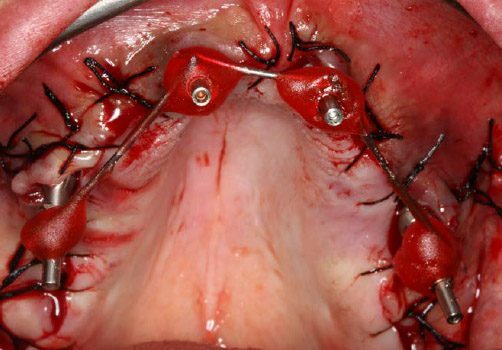 Immediate post-extractive dental implant placement with immediate loading on four implants for mandibular-full-arch rehabilitation: a retrospective analysis. Clin Implant Dent Relat Res 2013;15(3):332-340. Karl M, Taylor TD. Effect of cyclic loading on micromotion at the implant-abutment interface. Int J Oral Maxillofac Implants 2016;31(6):1292-1297. Kelly JR, Rungruanganunt P. Fatigue behavior of computer-aided design/computer-assisted manufacture ceramic abutments as a function of design and ceramics processing. Int J Oral Maxillofac Implants 2016;31(3):601-609. Zipprich H, Miatke S, Hmaidouch R, Lauer HC. A new experimental design for bacterial microleakage investigation at the implant-abutment interface: an in vitro study. Int J Oral Maxillofac Implants 2016;31(1):37-44. Ekfeldt A, Fürst B, Carlsson GE. Zirconia abutments for single-tooth implant restorations: a 10- to 11-year follow-up study. Clin Oral Implants Res 2017;28(10):1303-1308.